The memorial poppy and wild flower meadow on the glasshouse lawn at RBGE has inspired many visitors to contemplate the bravery and sacrifice of men and women involved in the First World War and other conflicts before and since. 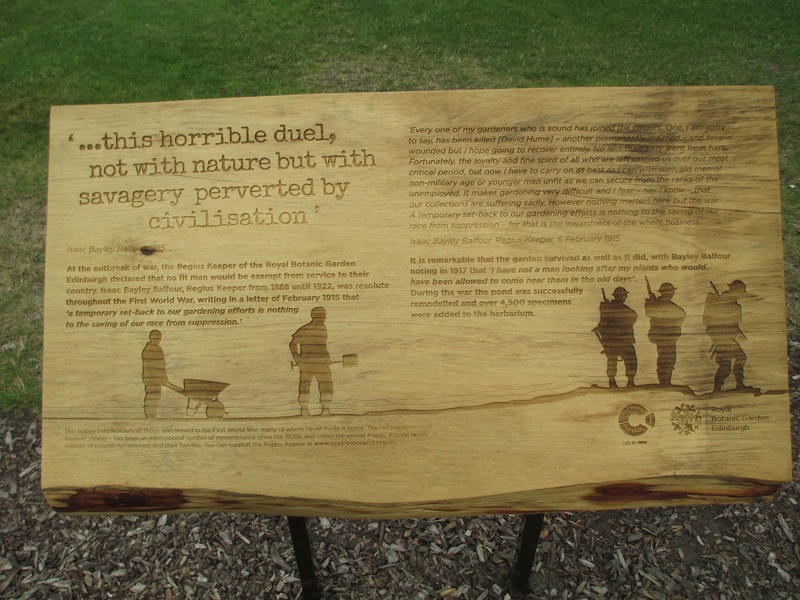 One visitor in particular was inspired by a quote from our former Regius Keeper, Sir Isaac Bayley Balfour, on an information panel by the poppy field, to write a poem about the “culture shock” felt by a gardener used to nurturing life in the Edinburgh Botanic Garden now finding himself in a position where all around him in the trenches is being destroyed. Freda Child is a retired psychotherapist and English teacher based in London, but her Scots heritage brings her back to Scotland and the RBGE whenever she can. She greatly admires the war poet Wilfred Owen, and has already published poetry on the subject of her great-uncle who was declared missing, presumed dead during the Great War. We are delighted that she sent her latest poem to us so that we could publish it on our website. The guns cease their howling and barking at last. He rises to gaze from the top of the trench. Unhomed by a too-close-for-comfort blast. 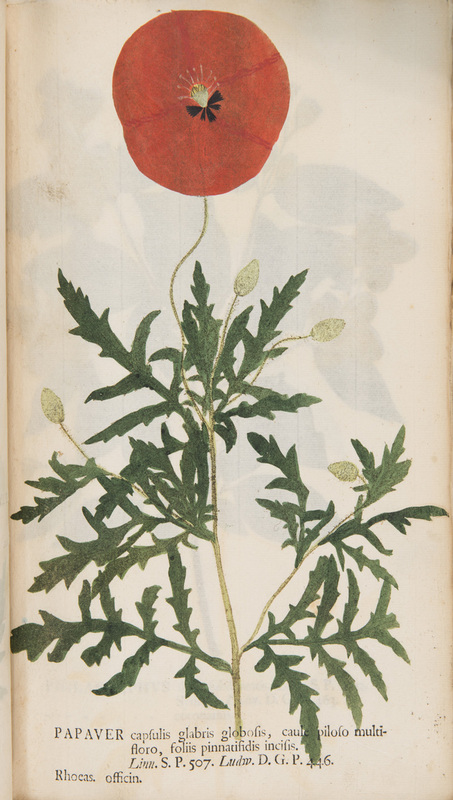 The blazing poppies had no time to set seeds. Now shattered by shrapnel into a red pulp. But he had never considered them weeds. Yon stand of hazel is now blackened and burnt. “That’s nae way tae coppice,” his father would say. Who would be swinging his axe and adze? So many gone with the craft that they’d learnt. That he had from his father and his before. Perhaps Mr Isaac might miss him. He knew the Garden, each footpath and glade. Who’d nurture his weans now from their far off lands? Who’d protect them from frosts and gather them in? With all the tenderness of his rough hands. Obliterates all. He thinks of Burns’ mouse. As a crack like a dead twig hardly is heard. As he’s embraced by the dark waiting loam.